This week, an anticipated 200,000 people will gather for the Women’s March on Washington to send a “send a bold message to our new government on their first day in office, and to the world, that women’s rights are human rights.” As the women’s rights movement presses on despite intensifying GOP attacks from every possible angle, it’s difficult to stop the mind from wandering to thoughts of what might transpire should the vote to defund Planned Parenthood at the federal level pass in Congress. 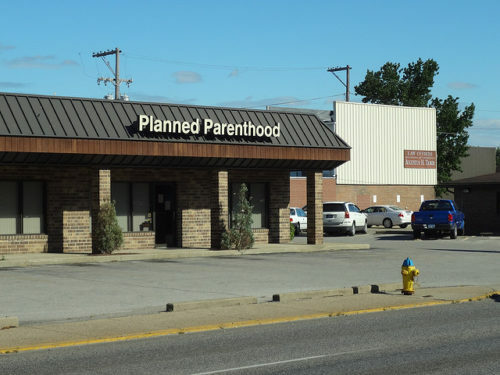 Even Planned Parenthood’s president, Cecile Richards, who has ardently remained front and center in the fight, has had to consider a contingency plan should the worst-case scenario play out. When asked in a recent interview with Rolling Stone about the organization’s response to a possible end to federal funding, Richards said that resorting to private philanthropy alone wouldn’t be an ideal substitute; instead, executing a state-by-state plan to address the unique needs of diverse patient populations would be key. And the GOP’s proposed plan for those patients who currently rely on their local Planned Parenthood clinic for alternative care? According to U.S. House Speaker Paul Ryan, it’s as simple as redirecting funding and people to community health centers. Unfortunately, Ryan’s proposal is impractical and, as was pointed out in this recent piece on Bustle, the rationale behind his suggestion in fact contradicts the Patients’ Choice Act outlined on his website. The effects of health legislation already seen in certain states, like Richards’ own home of Texas, dismally foreshadow the potential nationwide fallout of a GOP-led obstruction of access to contraception and safe and legal abortion, among other critical health services. In Massachusetts, for example, where abortions and teen pregnancies are currently at their lowest rate, an estimated 10,000 patients are at risk of losing care through the state’s MassHealth Medicaid program. The reality is, even here in Massachusetts, 40 percent of the towns have little or reduced access to primary care, and primary care means pap smears, STI testing, birth control, that’s very much a primary care opportunity. So for patients even in Massachusetts, where we think we’ve got services everywhere, it really becomes a burden. Defunding Planned Parenthood on a national scale stands to not only negatively impact those who depend on the organization for health care services, but apparently families and at-risk children who turn to social service programs for other needs as well.